Recipes, photography and delicious content, cooked to order. You want to make your customers more than hungry. You already have scrumptious, appetite-inducing products. So the second your customers click over to your site, their mouths should water and their minds should light up with ideas for dinner. But hunger is only the first step. DREAM about the lifestyle your products reflect through beautiful images and pitch perfect branding. SHARE content from your site like recipes, blog entries, and videos that spread the word about your awesome brand to create a truly organic marketing campaign. CREATE lasting memories as they whip up delicious dishes with your products, cooking alongside friends and family. You want to be more than another item in your customer’s fridge or pantry. You want to be an integral part of their lives. You want them to love what you’re serving up. And unfortunately, love at first sight is pretty rare. What you really need is to create an ongoing relationship with your customer beyond their plate. That’s where delicious content (and I!) come in. Hello, my name is Katie Webster. I’m the (food artist-writer-chef-scientist) that’s going to help you upgrade and grow your food business. In order to create killer content for your business, you’d typically have to hire five separate specialists, not to mention – a person to project manage the whole thing! Luckily, you won’t have to, because you found me, the one woman show who can whip up exactly what you need, with taste and class, and under one umbrella with a singular creative vision. You might be wondering how my title has that many dashes? Well, let me explain. See, I’ve always had a big appetite for learning, food, and art. True story, though – I began cooking very early, and from a young age was by my mother’s side as she created elaborate dinners. If Pinterest existed back then, these epic meals would have been totally Pinterest-worthy. Needless to say, I loved putting original meals together. So I wrote my first recipe when I was ten. Yup. You can read it here, it’s pretty darn cute. I had already been working in restaurant kitchens since I was a teenager, but now I could truly understand the chemical reactions, and how different ingredients interact. And I could use my artistic side to create inventive dishes that were not only delicious, but beautifully presented. Hello, perfect fit! 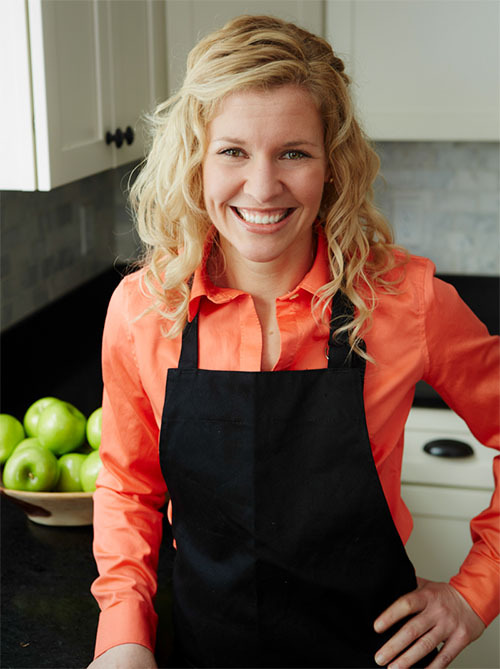 In 2002, I landed a job in the test kitchen for EatingWell magazine. There, I really put my culinary science education to use as I created and tested new recipes for the magazine. That’s where the magic really happened. The magazine quickly discovered that I had an artistic side in addition to being able to take on test kitchen recipe development. That’s how I ended up food and prop styling for the magazine too. 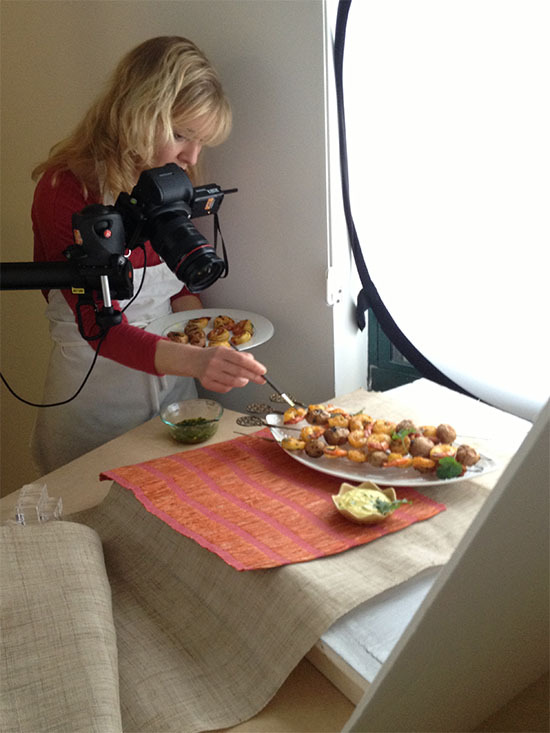 I continue to work with the magazine today as a contributing editor and (occasional) food stylist. And because that wasn’t enough to satisfy my professional appetite, in 2009 I started my own healthy eating blog, where I continue to hone my food photography skills on an almost daily basis. Since then, I’ve been contributing to other magazines and helping food brands present their products in a more appealing way (both live and online! ), and even wrote and photographed my own cookbook. My career has become fulfilling in a way I never imagined. Now, I want to share my expertise with you! You can simply bring your passion for good, excellent food, and I’ll bring my years of experience with recipe development and photography. Together, we’ll make your customers fall in love with your food. Then, let’s chat and find out how we can work together! Starving for answers but filled with questions? Feel free to email me at any time!